One of my coworkers had a birthday last week, which means I did some baking. This coworker requested chocolate cupcakes, so I knew I’d turn to the Joy of Cooking for the cupcake recipe. But the frosting was where I wanted to have some fun. My mom always made buttercream frosting for cupcakes, but I’ve always found most frosting to be too sweet for my taste. 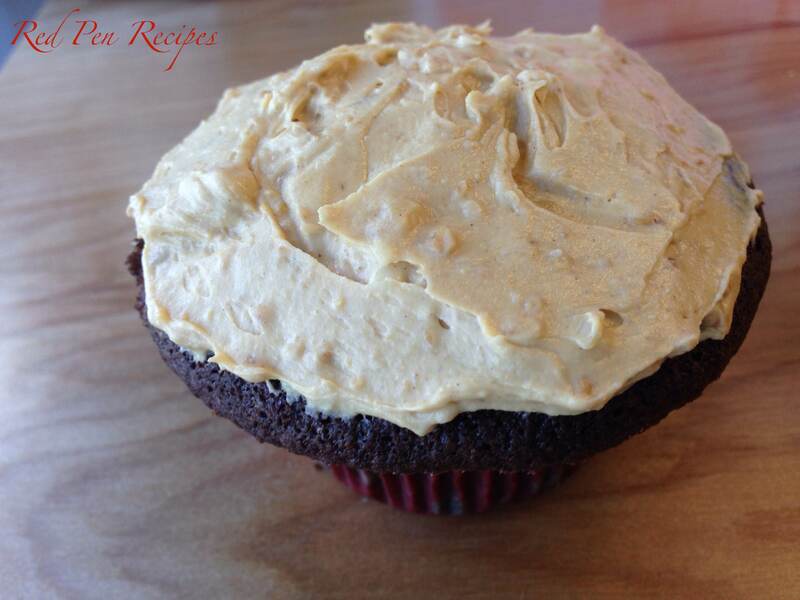 I remembered this coworker being fond of peanut butter, so I looked around for a recipe online for peanut butter frosting and came across this one. The original recipe called for creamy peanut butter, but I only ever buy crunchy, so I used that. The frosting held up well and complemented the cupcakes nicely. It’s definitely a nice alternative to the more common options. Great idea! Crunchy’s definitely the way to go.